Chris Hemsworth is a man in demand in Hollywood at the moment and you can see why! He is an attractive man that has the sort of body that us woman cannot take our eyes off…he is also quite good at acting as well! He is mostly known for his starring role in Thor where he is definitely convincing as the super hero. us women just love it when he swings his big hammer all over the place! The problem is that he is happily married so he is not a valid target for us anymore! 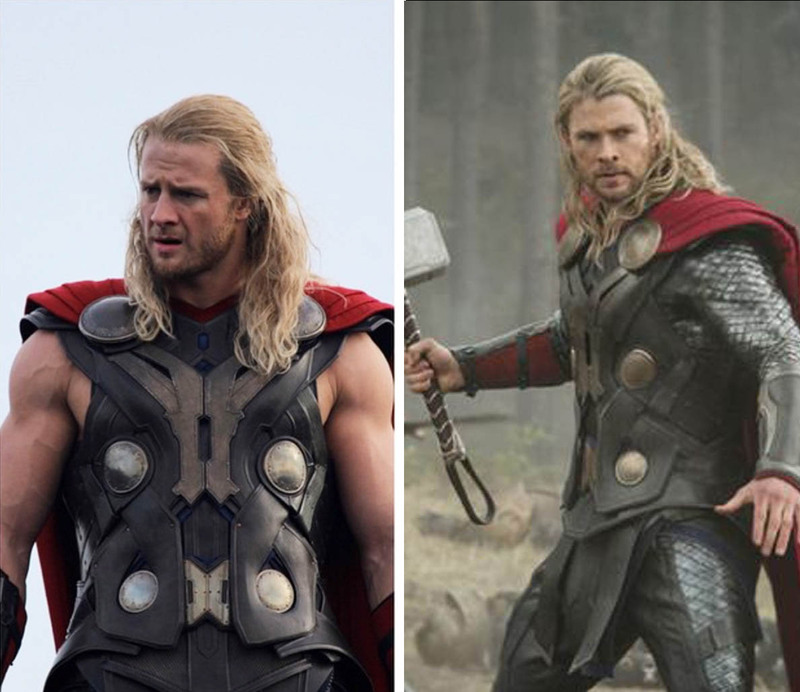 I am not so sure about the stunt double though, as he looks just like Hemsworth and would definitely be a suitable replacement. If anything he looks even more muscular and rugged than the actor himself…so he will definitely do! Robert Pattinson is a Hollywood hunk that has millions of adoring female fan but did you know that he never does his own stunts? He probably does not want to mess his hair up or something! He is mainly known for his role in the Twilight Saga which is mainly aimed at teens but this does not mean that the older women among us cannot enjoy it either. 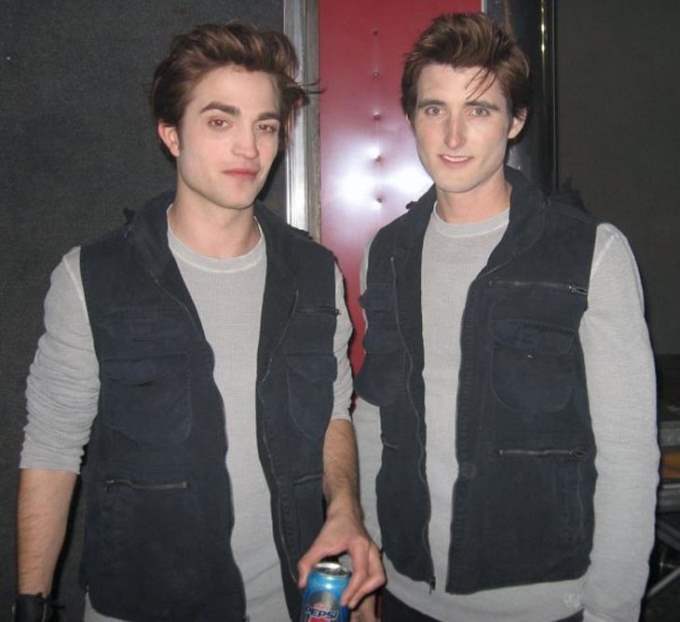 The picture above is of him with his almost identical stunt double, the man that actually does do the rough stuff and is not worried about his hair. Seriously, if you saw these two out and about together you would definitely think that they were brothers and possibly even twins!